Good morning, everyone! I'm so happy it's November! I really just love these months at the end of the year... October, November, December. They're filled with such great things. 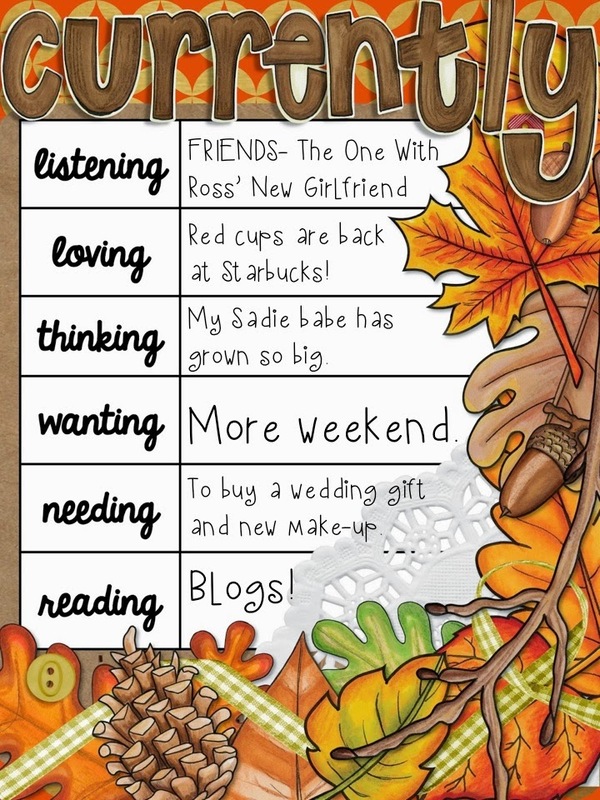 I'm linking up with Farley from Oh Boy 4th Grade for the November Currently to fill you in on my life currently. Listening: I love FRIENDS. If you've read my posts before, you may remember some posts where I've quoted FRIENDS randomly. You may remember that I would want the entire cast of FRIENDS at my birthday party. Point is... I love this show. Loving: So, the red cups are back at Starbucks! Holiday season is upon us! That brings me all sorts of happiness! Thinking: My baby girl, Sadie... She's huge. Okay, not really. She's 5 pounds, but she has grown so much since she was a puppy. I know that dogs grow, but looking at her sleep while I type this makes me all nostalgic for my babe. Look how tiny she was! Wanting: More weekend. Who doesn't? Needing: Paul's brother is getting married next Saturday, so we have a busy weekend ahead of us. Thankfully, we were able to relax this weekend, knowing what's coming up. I helped with some crafty last minute things for the wedding last night, but now we need to take care of buying a gift and I want to pamper myself with some new make-up so I don't look the same as I always look... I need a "wedding guest face", not my normal "teacher face". 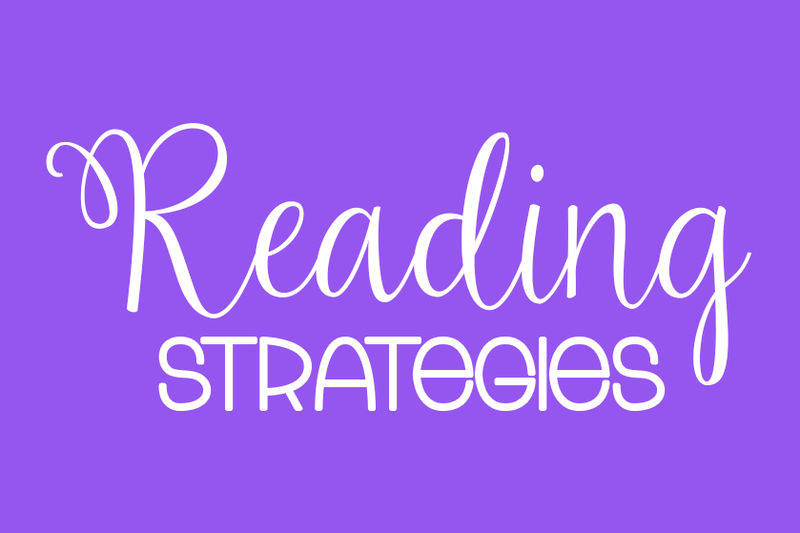 Reading: Catching up on blogs from the week! That's me currently! Go link up for yours too! I'm a fellow Missouri blogger and was definitely cheering on the Royals during this past week! 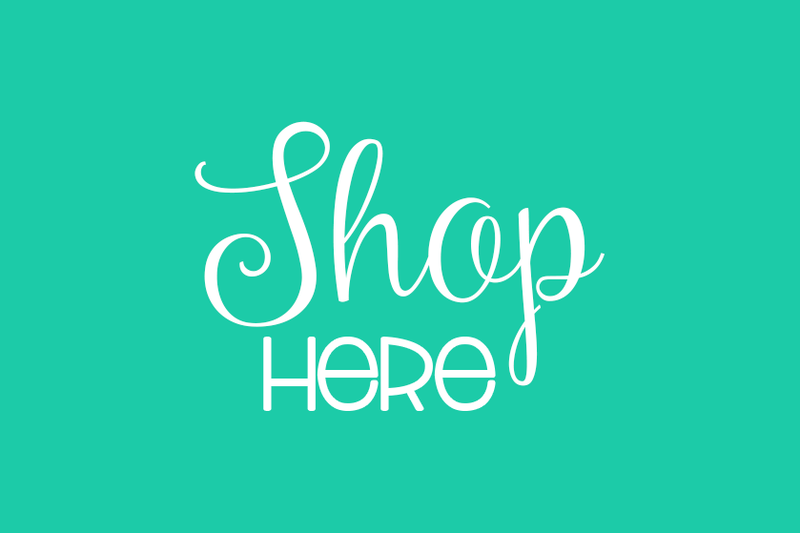 I am SO far behind on blogs and desperately need to catch up...but first I gotta get to "The Wal-mart" and grocery shop before all the mass chaos gets there! I am loving that redcups are back at Starbucks too. (Granted I don't drink coffee....but I LOVE me some Christmas!) Enjoyed reading your blog! I also would love to have a longer weekend, don't we all?!?! I used to LOVE Friends. I watched every single season. I was so sad when the show ended. I don't watch the reruns now, but I loved it when it was on. LOL love the snapchat of your dog! I've never tried snapchat, but that looks like fun! and yes, there needs to be a day (or three) in between Saturday and Sunday! 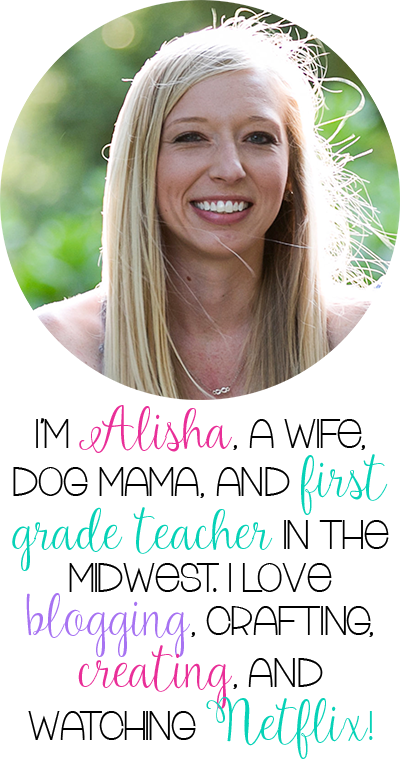 Hey, Alisha! Thanks for stopping by! I could totally use some more weekend! It never seems long enough... Even with an extra hour! Too bad about the Royals, for sure, but we can always hope for next year! I am ALWAYS watching friends! Love it! Cute blog! 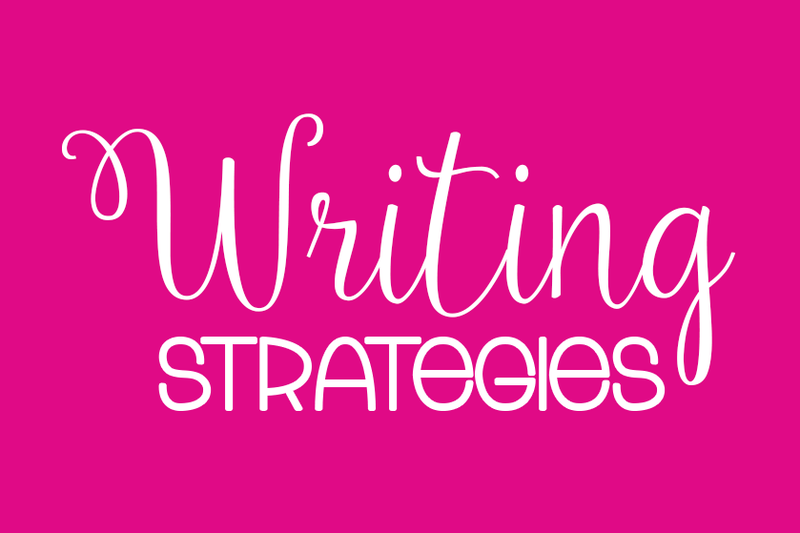 I'm doing some late-night blogging catch-ups myself! Your Sadie is adorable :) I'm loving the extra hour this weekend, but an extra DAY would be even better! Happy November! Luckily we had a teacher work day and then we are off tomorrow for voting...totally needed these days to reboot! Might have to start my day with one of those red Starbucks cups! Mmmm! Hello! I have enjoyed being one of your newest followers this fall. I nominated your blog for a Liebster Award. Click here to see your nomination. Have a great weekend and good luck with your blogging adventure!